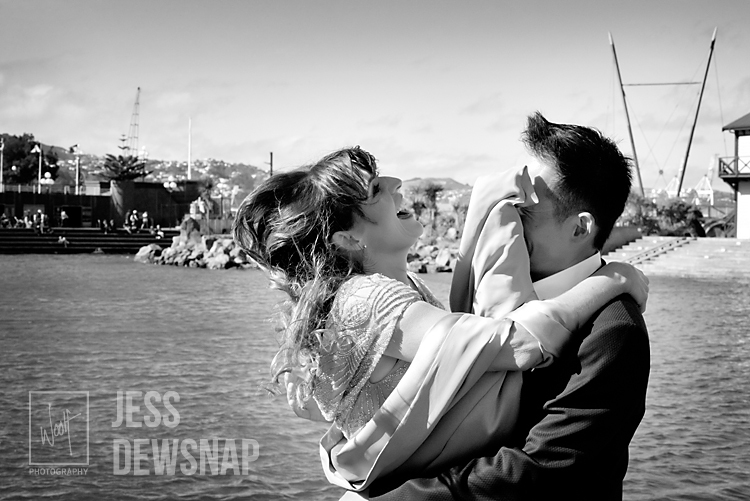 "Wow, what a beautiful windy Wellington day we had for Catherine & Gavin's wedding. I started at their house in Haitaitai which had stunning views. Everyone was pretty relaxed, getting the final touches of makeup applied. 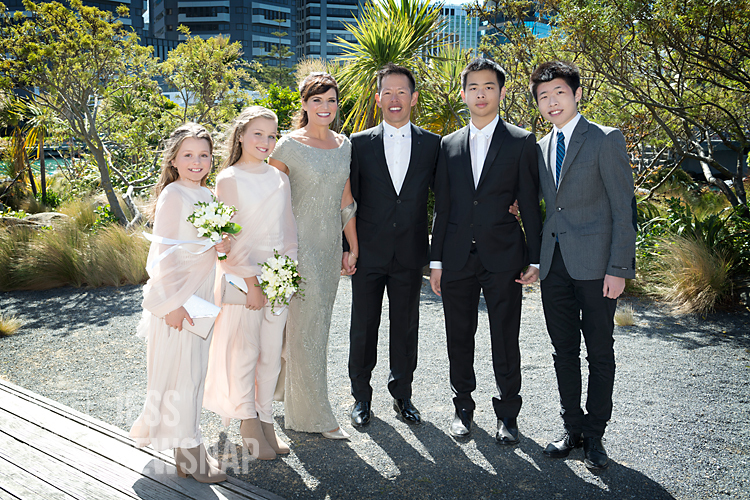 Catherine and her daughters looked gorgeous. 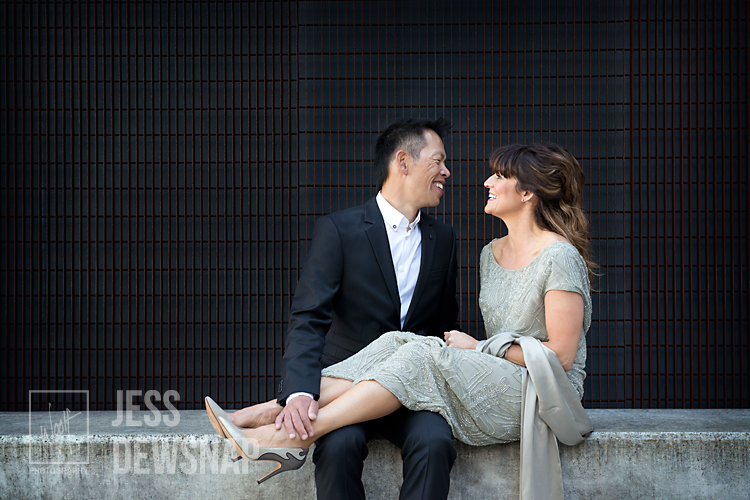 Catherine wore a stunning dress from Zambesi which just looked incredible on her, and I absolutely loved her high heels. 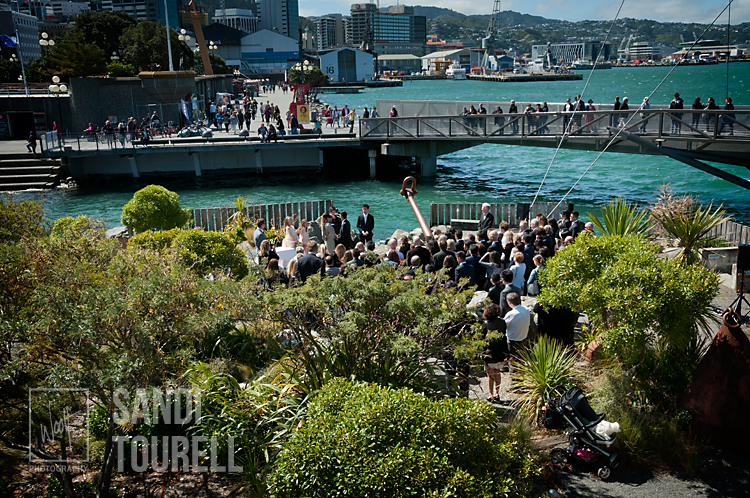 The Wedding ceremony took place outside the Boatshed, on the Wellington waterfront, beside the big anchor: a picturesque backdrop for the ceremony. I loved how they called themselves the "Chillars": a combination of both surnames joining the two families and children Torben, Brandon, Gabriela and Estee. The ceremony gathered quite an audience, with several people passing by stopping or watching from across the water, while Catherine & Gavin said their vows to each other. 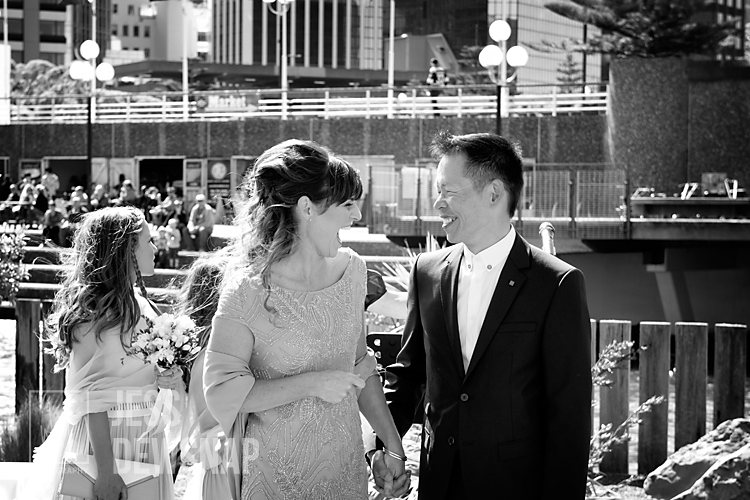 After the ceremony Catherine, Gavin and I went for a wander around the waterfront and over to Civic Square for some creative shots of the couple together. While we were venturing around getting some amazing shots,Sandi had a mini background setup with a "red carpet" sort of feel. 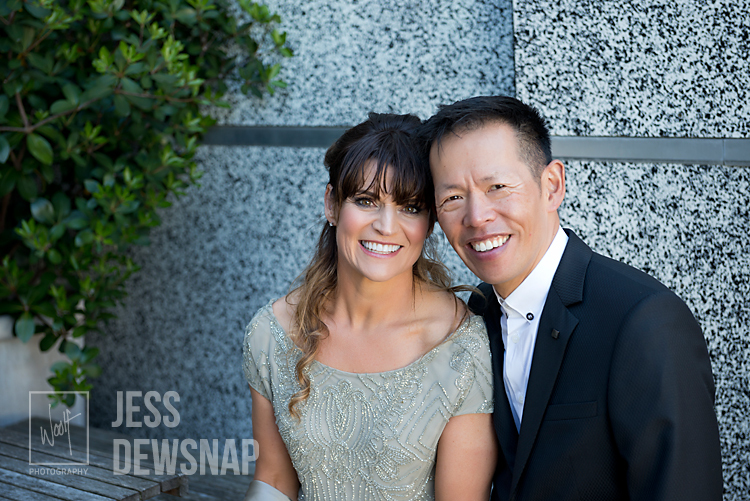 So as guests entered the reception she snapped a shot of them. She had a lot of fun with all the guests capturing the different outfits, in particular the different shoes worn, the atmosphere, the laughter and friendships being formed. It was an extremely busy day in the city and there were people everywhere. 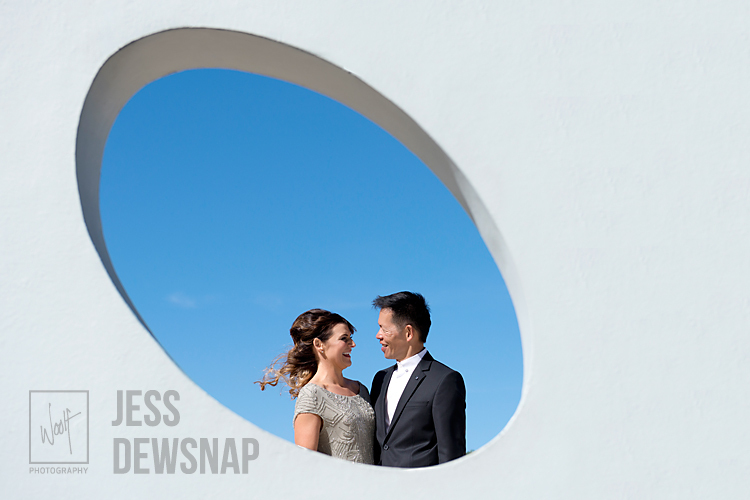 It was a sunny bright blue windy day, we found cover behind the Wellington City Gallery. The light was beautiful and sheltered us from the extreme windy conditions. 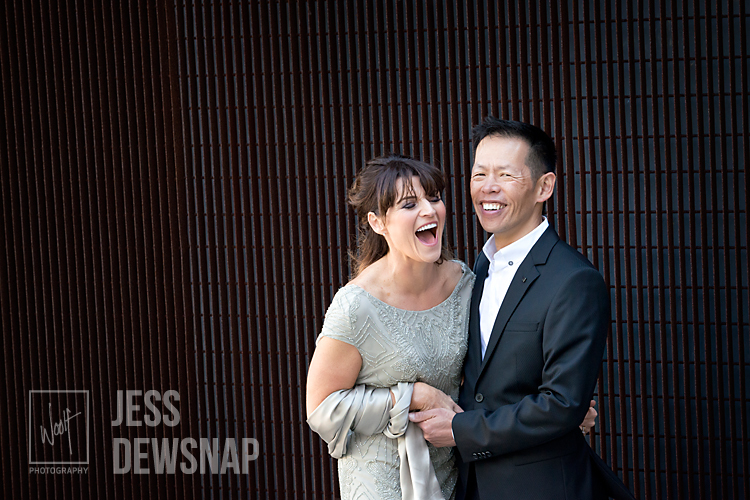 I had a lot of fun with these two as you will see in the photographs. As we returned to the Boatshed for the reception we got waves, and "woohoos!" from the guests enjoying the hospitality on the balcony of The Boatshed. It was actually quite funny on our return Gavin went to open the door as we had been locked out ! So we grabbed a shot of the bride & groom struggling to get back into their own reception. Luckily, Gavin's Dad saved the day and was just making his way out to shift his car. We received a warm welcome from all the guests as they celebrated the marriage of Catherine , Gavin and the joining of two families with a lovely evening enjoying delicious food from the amazing Ruth Pretty catering, and entertaining heartfelt speeches. I left Catherine & Gavin having a wonderful night surrounded by special family and friends.